On the local radio in western Queensland of late, tales of farmers doing it tough in the ‘drought’ are a familiar refrain. Rainfall in the region has been patchy at best, with some areas experiencing relief in the form of rain, while others endure the dry. 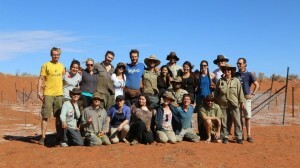 Conditions around our study area in the Simpson Desert reflect this same scenario. On most of Ethabuka, where our Main Camp is located, little rain has fallen. Other parts of the study area have fared better this year, resulting in much more favourable conditions for flora and fauna. 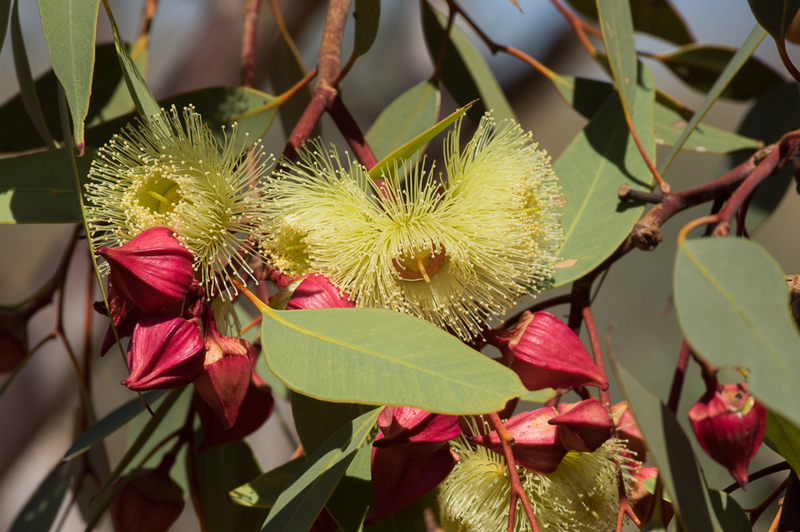 The major aims of this trip were to carry out monitoring of the ‘gidgee grids’ around Main Camp, sample the mallee traps and finish the construction of the new experimental refuge infrastructure. In addition, we were to download all the weather stations and cameras from around the four properties. Eveline, one of the DERG PhD students, was also carrying out two experiments examining dragon ecology: tracking dragon movements and investigating predation effects. 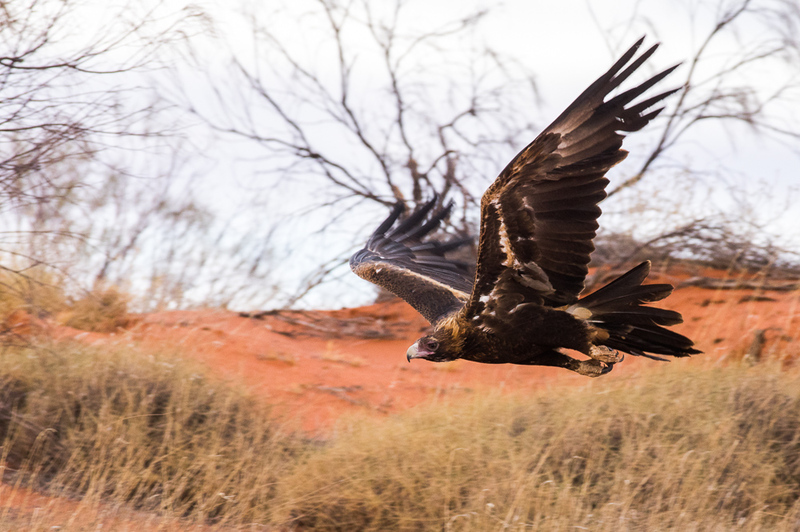 The gidgee grids were set up around six years ago, examining movements of animals between gidgee patches and on to nearby sand dune areas, as well the possible role of these patches as refugia for fauna. 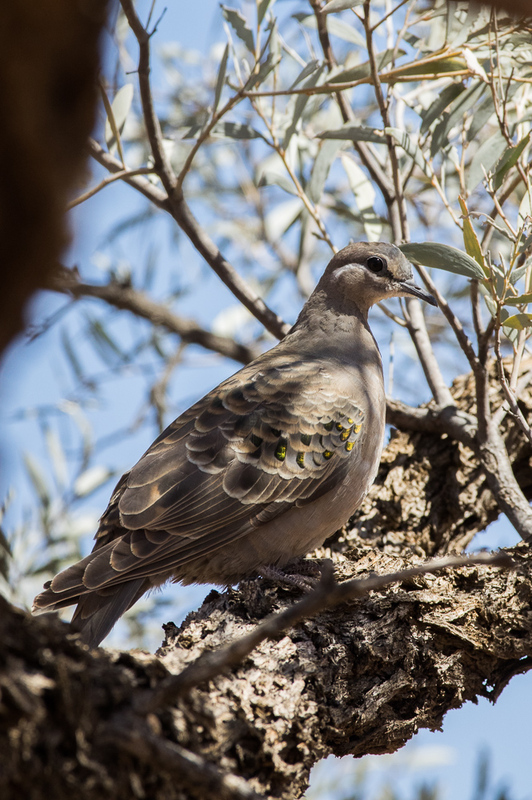 Our trapping this trip didn’t turn up much out of the ordinary: sparse captures – mainly reptiles – in both the gidgee and the adjacent sand dune areas, and no startling difference between areas. 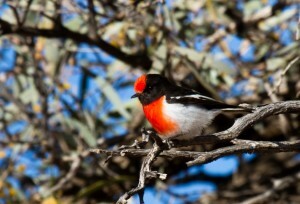 Following this, we trapped the mallee traps set up on the June trip. Again, captures were low. 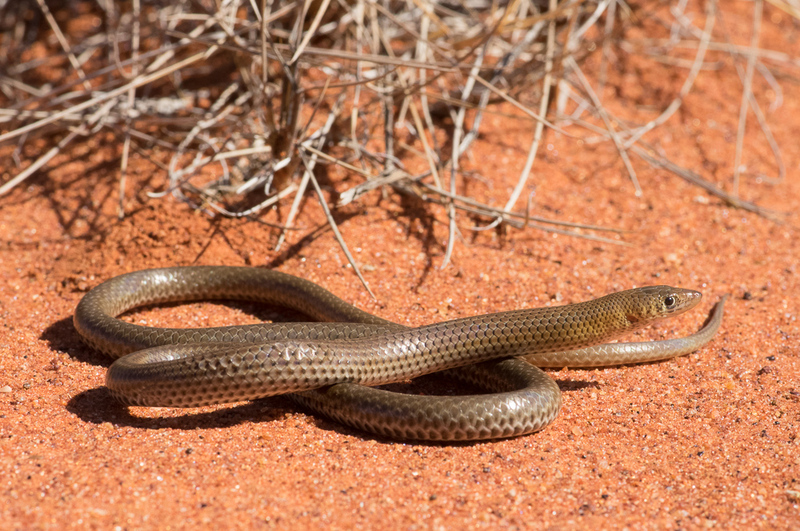 Notable were the two legless lizard (pygopod) species that turned up – the first was a Burton’s Legless Lizard, Lialis burtonis, the second the Nosy Delma, Delma nasuta. We decided to put out the now familiar plasticine dragons out to gauge predator responses one more time. Last time (April 2014 trip) the raptors were in full force following the rains a month earlier. Things looked very different this time with virtually no raptors to be seen. This was also evident in the predation events recorded on the models: very low raptor attacks and lower predation in general. The main culprits were the large reptiles, monitors and dragons. Overall, it looks like rain plays a large role in regulating predator pressure and predator assemblage. To track movement, range and activity of dragons in both burned and unburned habitat we caught and equipped 18 military dragons (Ctenophorus isolepis) with small VHF transmitters. To obtain the required dragons our team developed impressive dragon catching skills involving fishing rods and much needed patience. After attaching the transmitters, the dragons were released and tracked every 3 hours, 6 times a day. This data gives us information about their activity patter, home range size, and nocturnal site selection. When we piloted the technique on four central netted dragons (Ctenophorus nuchalis) in April 2014, we recorded an unusual behaviour where one of the dragons moved several kilometres in a certain direction before settling down. This time we recorded one of our military dragons doing the same, moving several kilometres north over two days before disappearing completely. We believe it may be a form of dispersal and observing it in both dragon species has strengthened the idea it may be a more common behaviour we previously believed. On the June trip, we installed sets of tunnels to provide shelter from predators to small mammals and reptiles. Adequate controls are integral to all good experiments, so this trip saw us putting in place ‘sham’ tunnels. These had to be similar to the real tunnels but for one detail – they had to allow predator access rather than exclude them. This allows us to determine what effects the tunnels might have that are independent of what we’re really trying to test. To this end, we suspended chickenwire mesh over the sand using support ribs made from PVC pipe. Shadecloth was fixed to this as per the method used on the previous trip. Like the previous tunnels, we erected five tunnels on each of four grids. We also had the task of visiting all our weather stations and remote cameras to download data and check for problems, replacing or fixing equipment where needed. Bobby and Dave visited the far-flung sites on Craven’s Peak and Tobermorey on a two-day trip, staying the night at Ocean Bore. This gave us a chance to informally check out the condition of the country throughout the region. 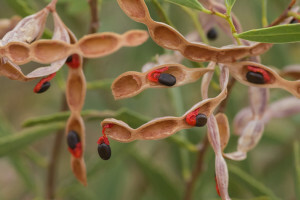 The north has seen much more rain in the last few months (particularly in the February/March falls), obvious from the abundance of spinifex seed heads and the flowering and seeding of many other species (e.g. Ptilotus polystachyus, Trachymene glaucifolia). Some of the winter annuals were still flowering, but most had already ‘done their dash’. We also saw more birds in just a single day in these areas than we did for the rest of the trip at Main Camp. On spotlighting runs on recent trips we haven’t seen much at all – feral predators, like most mammals, are in low numbers at the moment. 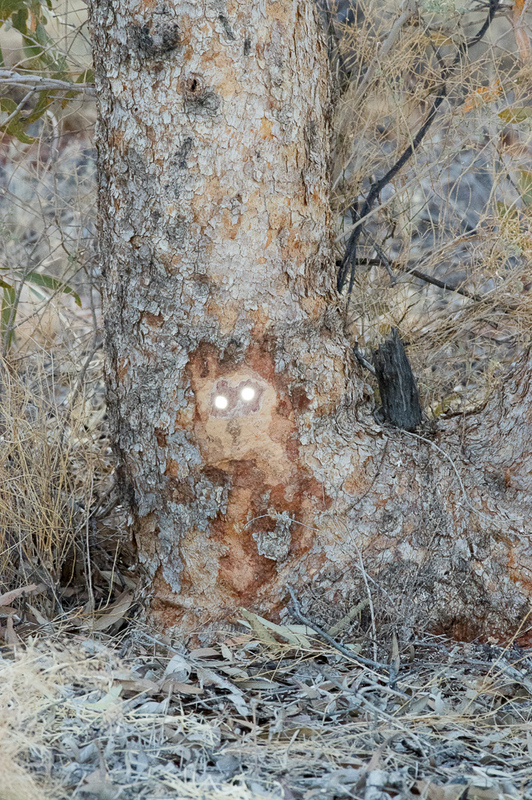 This trip, however, several ‘eyes’ were spotted from the road. One spotlighting team even walked out to see what the animal staring unflinchingly back at them was. It turned out to be a decoy – Bobby and Dave had placed reflective tape on bits of timber. While it gave us plenty of laughs, the actual practical purpose was to assess how well spotlighting crews are really doing at spotting things with known locations. As it turned out, this trip’s crew was pretty good! One charming new addition to camp was the visiting White-backed Swallows. While these are normally only seen occasionally on trips, a couple took to visiting the area around the caravan every morning. They would swoop acrobatically to within a metre of our faces – we suspect the local abundance of flies around camp was attracting them. On the final afternoon at Main Camp, one last discovery was made. 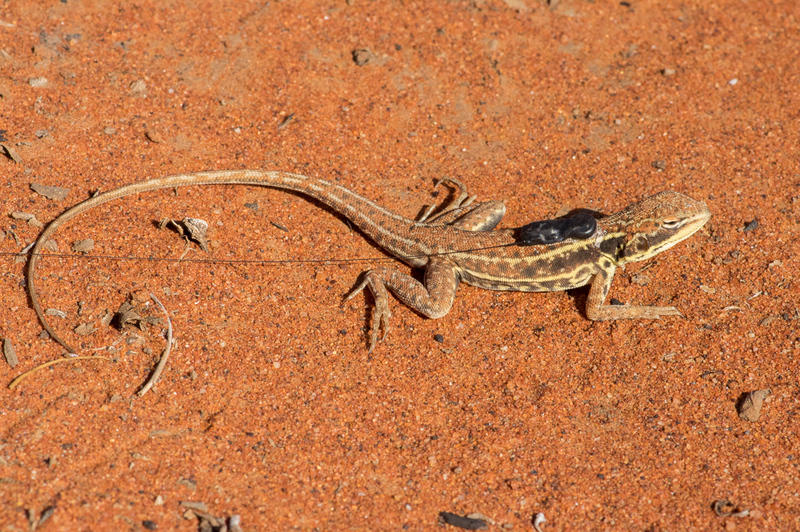 While out walking in the spinifex, members of the team saw some unusual tracks in the sand – some sort of reptile with a wide waddling stance, leaving lots of scratch-like impressions but no tail drag. 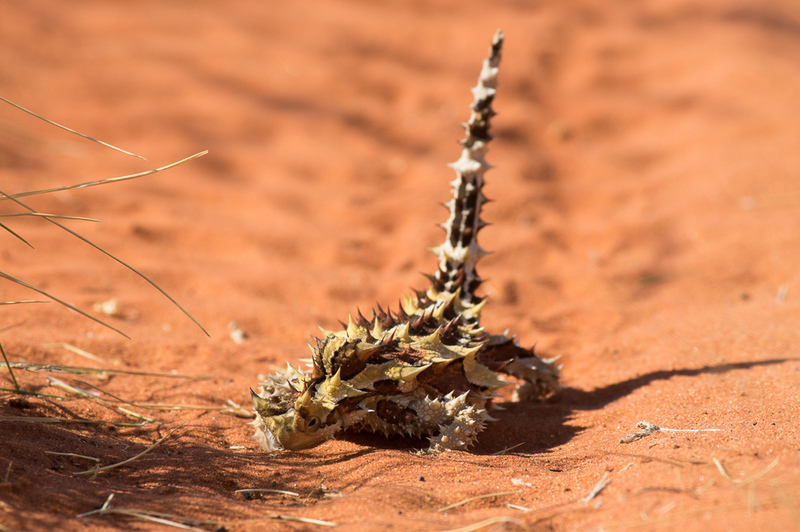 Following the tracks revealed the culprit – a Thorny Devil (Moloch horridus), the star of the trip for many.